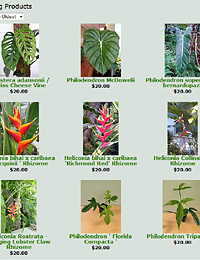 Exotica Tropicals is having a huge holiday sale for over a WEEK long! Save up to 40%! 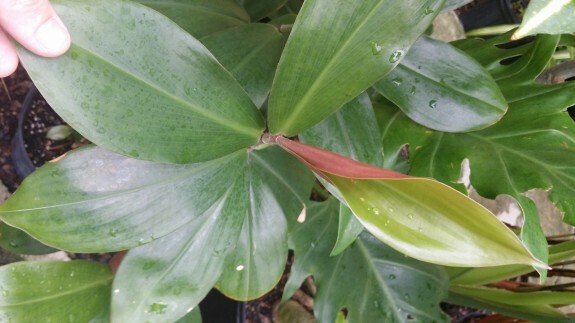 Below are some new pics of interesting plants from around the nursery- we’ve got lots more cool stuff on hand- stop by this week or next week, check it out and get something on sale! 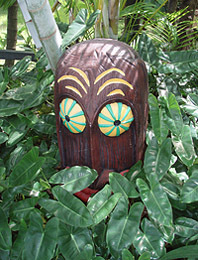 I took this photo last weekend in the Mexican Jungle pavillion at Disney’s Epcot World Showcase – it handles cold temperatures well. 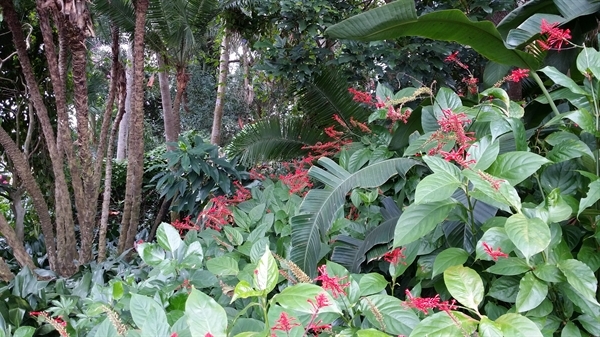 It’s a tough plant, a great bloomer and butterflies love it. The shop is fully packed with amazing Philodendrons- plenty of unusual terrestrial and climbing specimens. 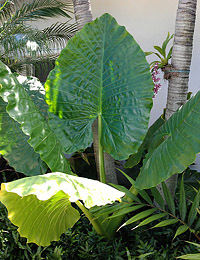 Here are two massive Philodendron giganteums- they get giant round shiny leaves. 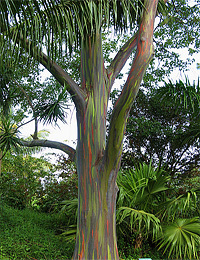 Ideal location is in shade/under tree canopy. 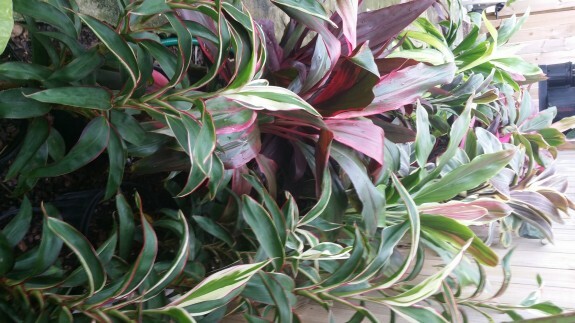 They also make excellent indoor houseplants. 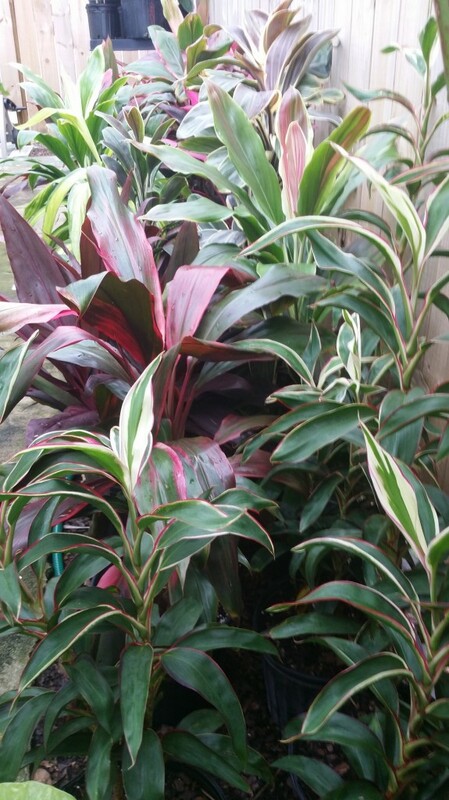 The Cordyline (Hawaiian Ti Plant) selection is looking really good- the fall weather intensifies their color. Many varieties in stock including the new “white babydoll” compact Ti shown in front. This is a cool variegated variety of Alocasia ‘California’ it is a smaller sized Alocasia- the leaf gets up to about 2 feet. 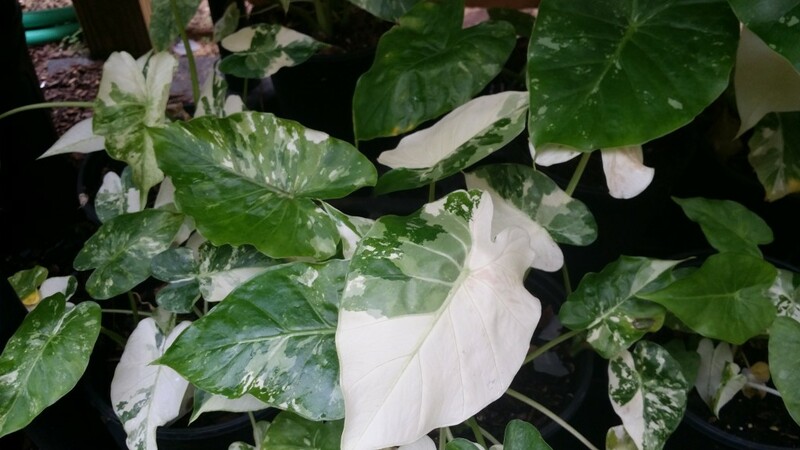 The variegation is pure white and it makes plenty of babies. 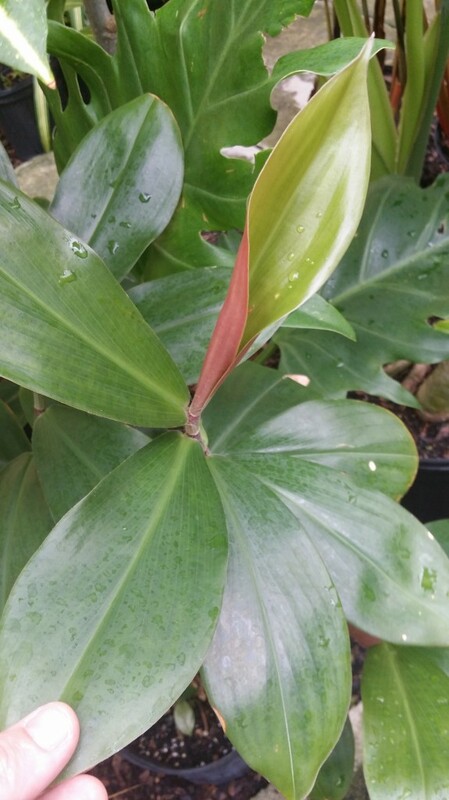 Here is a new & rare aroid- Philodendron asperatum. 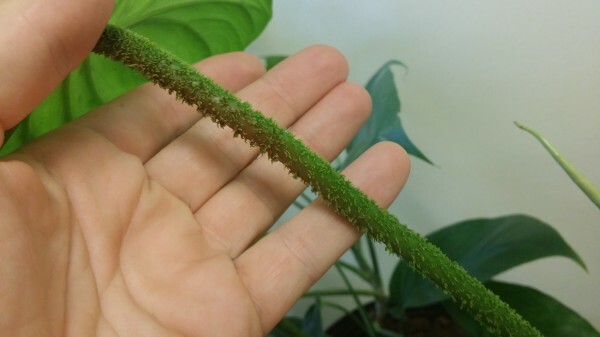 It is a climber from the jungles of Central America and has a fuzzy textured petiole. 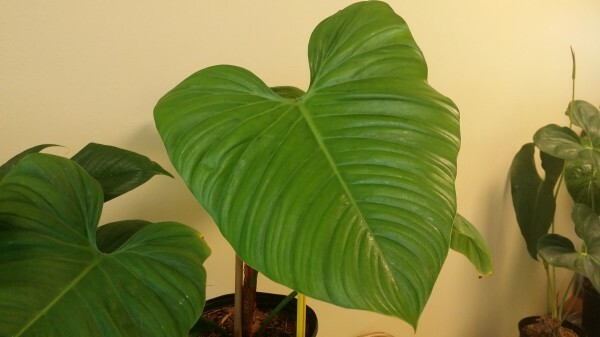 It is a tough plant and produces a beatiful rippled leaf. 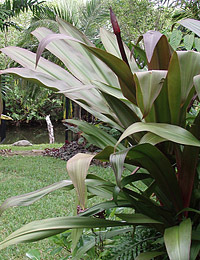 It is from Chiapus, Mexico and has red undersides to the leaves and produces a 6-8″ tall red cone bloom on the end of its stalks. 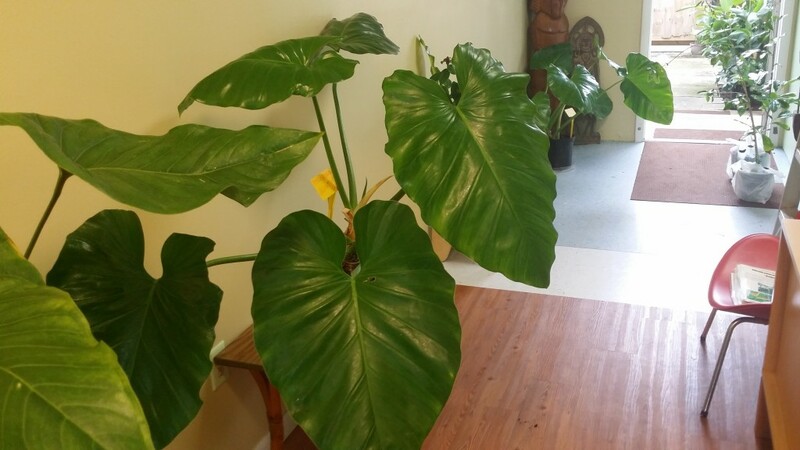 It gets to about 4 or 5 feet tall and makes a nice clump. See the next post below for more recent tropical plants!